You can print a Draft Receipt and Tip Receipt to hand to customers prior to completing a transaction. At POS, once a product has been added to a transaction, you will see a button on the bottom of the screen: Print Draft Receipt. This allows your staff to print a draft copy of the receipt that they can hand to a customer for review prior to completing a transaction. If your staff accepts tips/gratuities (e.g. 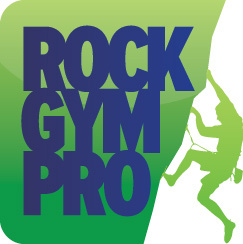 at parties, group events, etc), you can also set up Rock Gym Pro to print out a Tip Receipt. Once enabled (instructions below), the printed Tip Receipt can be handed to customers prior to completing the transaction. The customer can then write down a tip amount and hand back to the staff to add to the transaction in RGP. After a Tip Receipt is printed, staff will be prompted to add the tip amount to the transaction. The Tip Receipt feature is disabled by default. To enable, you need to first set up a Tip as a Product in your settings. Complete the fields from the Product Properties tab and click OK. Your Tip Product has been added to RGP! Click on the Tip Product you created and then, Add button and then OK. The Print Tip Receipt button will now appear at the bottom of the screen when a transaction is initiated in POS.